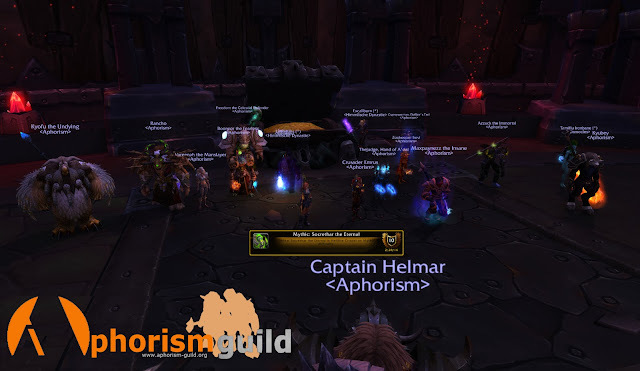 Aphorism: Eredar, no.. Eternal no more! Socrethar defeated. Eredar, no.. Eternal no more! Socrethar defeated. He should have stayed dead in Talador! The warped fel construct could only do so much to help him survive. Aphorism made sure of that. We also killed Iskar a while back, and somehow still manage to get Helmar's fat cow head in our killshots..